Inc. / Exp. : Gloria patri et filio et spirtui.../...demon infernalis. Protegat et nu[triat]... Damaged on bottom right verso. 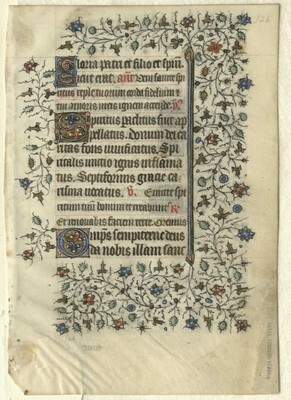 Catchword "triat" in lower right margin of verso.